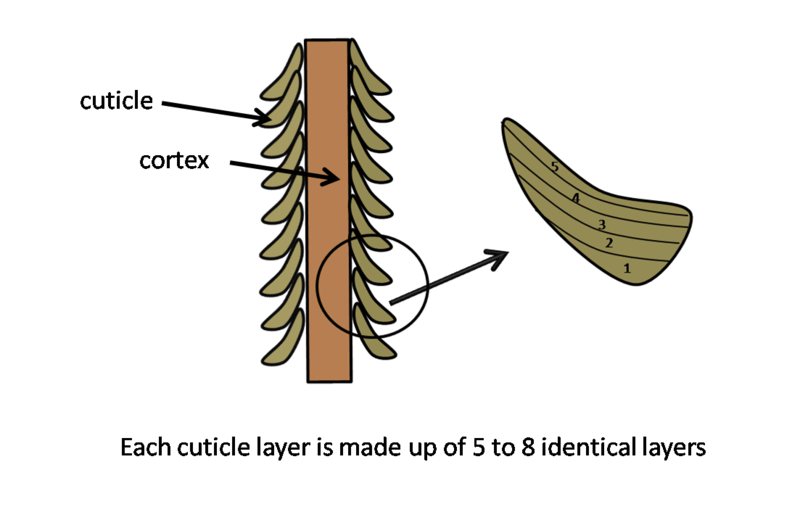 Ok I am going to need you (yes I mean you reading this right now) to learn or recall a scientific term before I kick this series into full throttle. 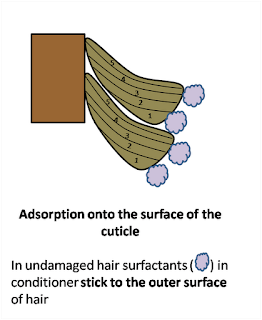 The word is adsorption with a D. It means to stick on to a surface as opposed to absorption with a B which we all know means to get soaked into or integrated into a surface/substance. Let me first remind you of the structure of hair, just in case you need it! 3. 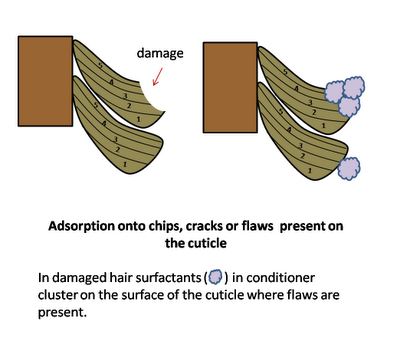 Reduction of frizz/flyaway hair for the curlies among us. This is why I would like you to learn this word - adsorption. 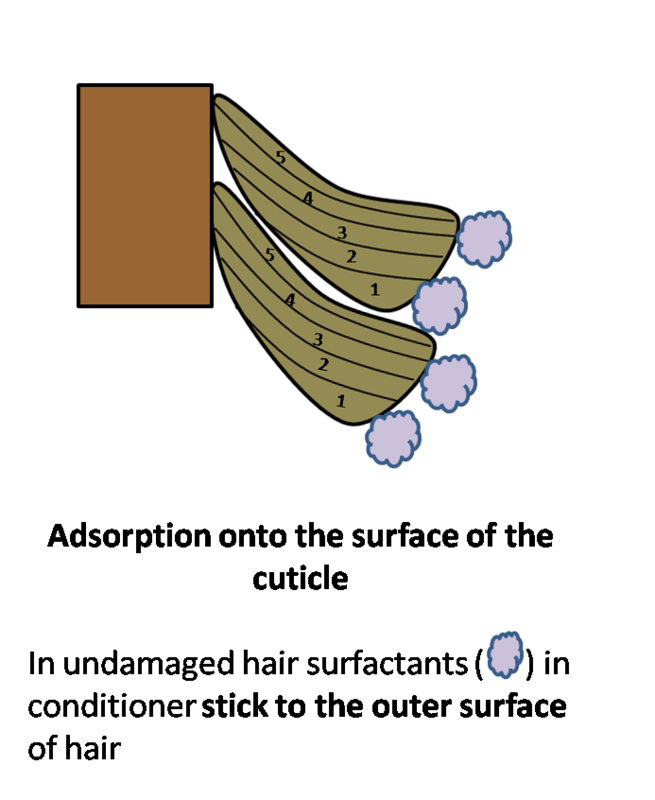 Here is one of my nifty diagrams to show you how adsorption works. This is not to say that penetration of hair conditioner does not happen. Over the course of the last three years I have read numerous studies into different penetrating abilities of conditioning substances. This will be the subject of the next post. 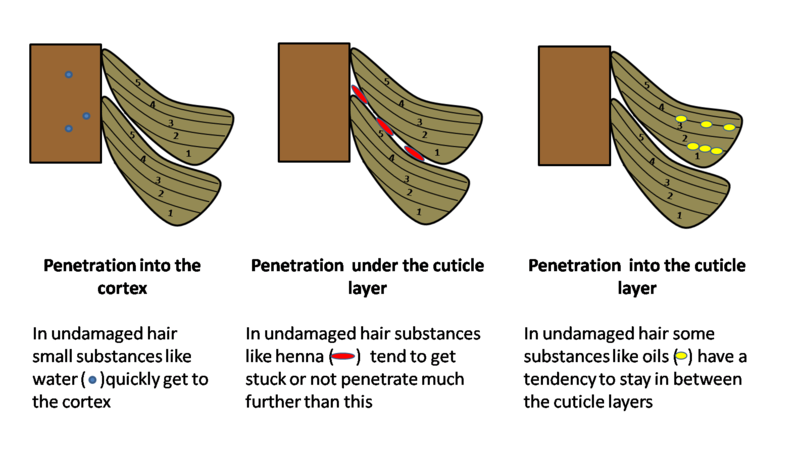 However to whet your appetite, I would like to present to you the three main ways that penetration is described in scientific literature. These methods generally apply to undamaged hair because damaged hair will pretty much let in almost anything. The list of substances that CAN penetrate hair (i.e shown in scientific studies) will be here on Wednesday, so don't miss that! After that will be studies on whether heat and extra time make a difference to conditioning hair. Looking forward to the next article on this subject, especially whether heat or extra time is needed for certain conditioners. Then if it matters, what order to put certain ingredients in. I might be getting ahead of the articles to come, but is it then a matter of product choice when some insist that deep conditioning for multiple hours (or overnight) is the only way they can achieve soft/moisturized hair? Its great to be a scientist! Hard facts, good job!